The scholars said that the reason why the Dajjaal is called maseeh (a “messiah”) is because one of his eyes is mamsooh (lit. “wiped”; smooth or abraded, i.e., he will be blind or defective in one eye). Or it was said that it is because he will survey or travel throughout the earth (yamsah) in forty days… The former view is more correct, because of what was said in the hadeeth narrated by Muslim (no. 5221) from Anas ibn Maalik, who said: “The Messenger of Allaah (peace and blessings of Allaah be upon him) said: ‘The Dajjaal will be blind ( mamsooh) in one eye, and between his eyes will be written ‘kaafir’…’”. ‘Whilst I was sleeping, I saw myself performing Tawaaf around the Ka’bah, when I saw a dark man with straight hair, standing between two other men, with water dripping from his head. I asked, “Who is this?” They said, “The son of Maryam.” Then I turned and saw a ruddy-complexioned man, well built, with curly hair, blind in his right eye, with his eye looking like a floating grape. I asked, “Who is this?” They said, “This is the Dajjaal.” The person who looks most like him is Ibnu Qatan.’” (Narrated by al-Bukhaari, no. 6508; Ibn Qatan was a man from Banu Mustalaq from Khuzaa’ah). “Allaah is not one-eyed, but the false messiah (al-maseeh al-dajjaal) is one-eyed, blind or defective in his right eye, with his eye looking like a floating grape…” (narrated by al-Bukhaari, no. 3184). “No Prophet was sent but he warned his people about the one-eyed liar. He is one-eyed, but your Lord is not one-eyed, and between his eyes will be written ‘kaafir.’” (Narrated by al-Bukhaari, no. 6598). According to another report: “Written between his eyes will be ‘kaaf faa’ raa’.’” (Muslim, no. 5219) According to a report narrated by Hudhayfah, “This will be read by every believer, literate or illiterate.” (Muslim, no. 5223). “The correct view according to those who studied this issue is that this writing should be taken literally, as being real writing which Allaah will create as a sign, one of the definitive proofs that (the Dajjaal) is a kaafir and a liar, to expose his falsehood. Allaah will show this sign to every Muslim, literate or illiterate, and will conceal it from everyone whom He decrees is doomed or whom He wants to test. There is no reason why this should be impossible.” (Sharh al-Nawawi li Saheeh Muslim, 18/60). “He will be followed by people with faces like burnished shields.” (Narrated by al-Tirmidhi, no. 2136). “Part of his fitnah will be that he will say to a Bedouin, Do you think that if I resurrect your father and mother for you that you will testify that I am your lord?’ He will say, ‘Yes.’ So two devils will appear to him in the image of his father and mother, saying, ‘O my son, follow him for he is your lord.’” (Narrated by Ibn Maajah, no. 4067. Classed as saheeh by al-Albaani, Saheeh al-Jaami’ al-Sagheer, hadeeth 7752). 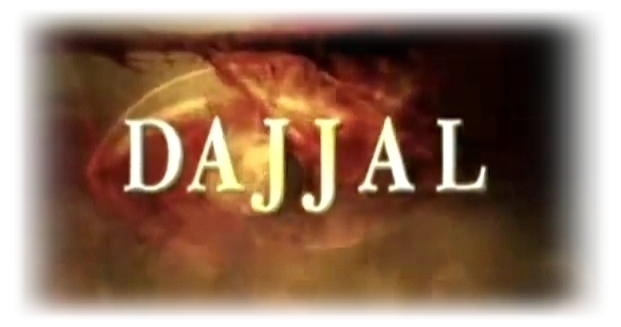 ‘The Dajjaal will emerge at a time when religious commitment is low and knowledge has decreased… Then ‘Eesa ibn Maryam will descend just before dawn and will call people, saying, ‘O people, what is stopping you from coming out against this evil liar?’ They will say, ‘This man is a jinn’, then they will set out. When they reach ‘Eesa ibn Maryam, the time for prayer will come the iqqamah will be given, and it will be said to him, ‘Go forward (to lead the prayer), O Spirit of Allaah.’ He will say, ‘Let your imaam go forward and lead you in prayer.’ When they have prayed fajr, they will go out to meet him (the Dajjaal) and when they see the liar, he will start to dissolve like salt in water. ‘Eesa will go to him and kill him. Even the trees and rocks will call out, ‘O Spirit of Allaah, here is a Jew!’ And none of those who followed him will be left, they will all be killed.” (Hadeeth no. 14426).